At elite level, the smallest of things can make a difference. A slightly higher or lower pedal frequency. An extra training at height. Extending a movement or lifting a knee higher. To support elite athletes and coaches sports scientifically, we work with embedded scientists. Scientists who are specialized in biomechanics. Or exercise physiology. Embedded means that the scientists are closely involved with the practice of sports. Instead of operating from a university. The scientists have been scientifically educated. But with a practical character. 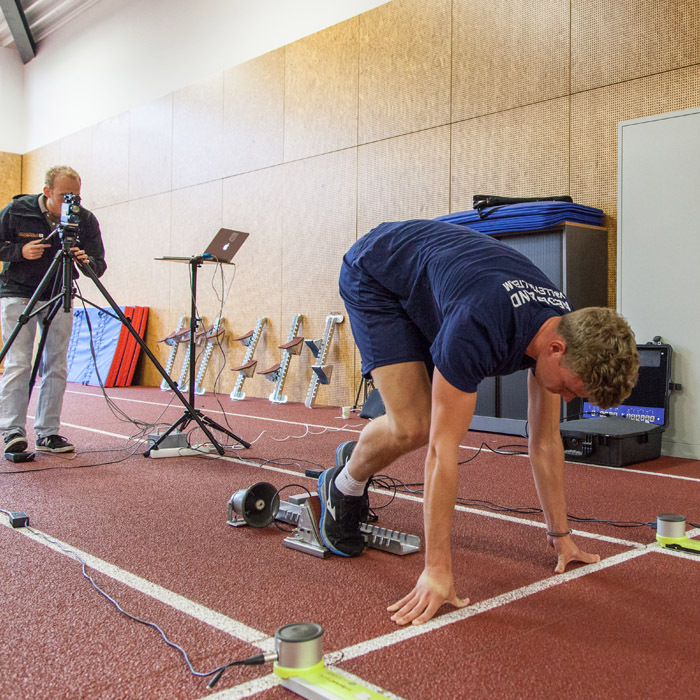 They perform tests and measurements in order to follow the progress of elite athletes. For instance excercise tests or motion analyses. Optimising the jump shot technique or measuring the viewing habits. And they are concerned with various researches, in conjunction with knowledge institutions. As an elite athlete, you want to find out immediately after an exercise whether you have performed your tasks well. Whether you have followed the instructions of your coach properly. The sports scientists can provide this information. 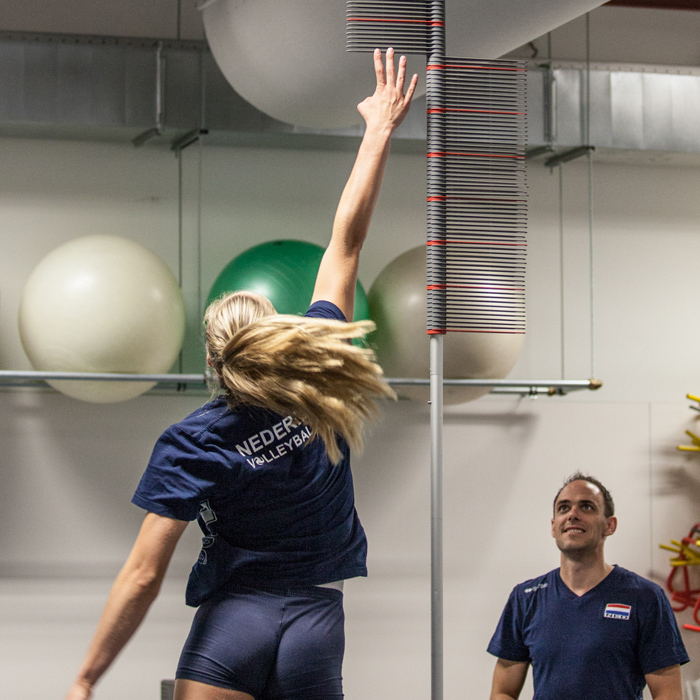 They use all sorts of test and measuring equipment to provide the coach and elite athletes with direct feedback. It enables the coach to adjust things right away. By working with embedded scientists, we ensure durable progress. By means of direct feedback throughout the training or test session. And by means of an elaborate analysis afterwards. This ensures that elite athletes and coaches are continuously updated on their progress. Most tests are performed during the trainings at the sports accommodations. But for some tests, a lab is required. That is why we have an exercise lab. Where the Wingate test can be performed for example. This sprint test on a bicycle ergometer measures the maximum sprint capacity during 30 seconds. 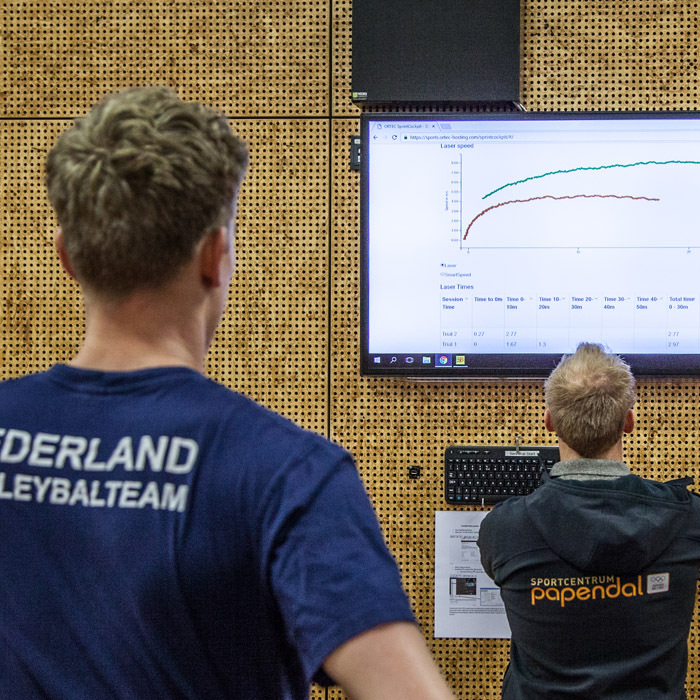 It gives the elite athlete more insight into the start capacity, acceleration capability and the maximum duration of the sprint. In addition, the sports scientists perform VO2-max tests in the exercise lab. On a treadmill or a bike. This is an exercise test which measures the maximum oxygen uptake. Sometimes, elite athletes participate in a tournament at height. Or in a city with high humidity. You want to be prepared as much as possible. Therefore, we have a climate room where these extreme conditions can be simulated. Elite athletes can use the climate room for various trainings. These include pre-acclimatisation, interval and repeated sprint training at height, heat training and rehabilitation at height. NOC*NSF organises biannual platform days for the network of embedded scientists in the Netherlands. Our scientists participate in these days. To exchange knowledge and share best practices. The embedded scientists work multidisciplinary. They are not only in close contact with the talent and national coaches, but they also consult with physical trainers, physiotherapists and sports doctors regularly.